This was a great week we are hitting the ground hard to find new people that are going to be ready to be baptized. We are striving for a baptism in November and acting in faith to make that happen. We are working with members and recent converts to help us find. and for them to work on their family mission plans so that they can be actively involved in the work that God has in store for this area. We are doing service and getting recognized in the community. We are having people talk to us and hopefully will result in some more people to teach. It is such a wonderful time to be in the WKM. Really in the mission force at all God truly is harvesting only for this last time and to be a part of it it so wonderful! It builds my testimony each and every day. I am very greatful for all that you do for me each and everyday. I love you all so much and I keep you in my prayers. Pic 2- And the really creepy spider that I got from a member for Halloween!! Today was amazing! I love the Hong Kong temple it really is such a special place and I feel so blessed to have so many opportunities to be able to go! Also we had interviews today and I really love president and Sister Lam they are really so amazing! This last week was truly amazing and it felt really long but was very event filled! Being with summer missionaries was challenging in a great way it taught me so much and I really grew a lot. I really feel like the summer missionary program is amazing and a wonderful way to build more unity between members and missionaries because both of those brothers are going home with a new determination to do more missionary work in their own wards! 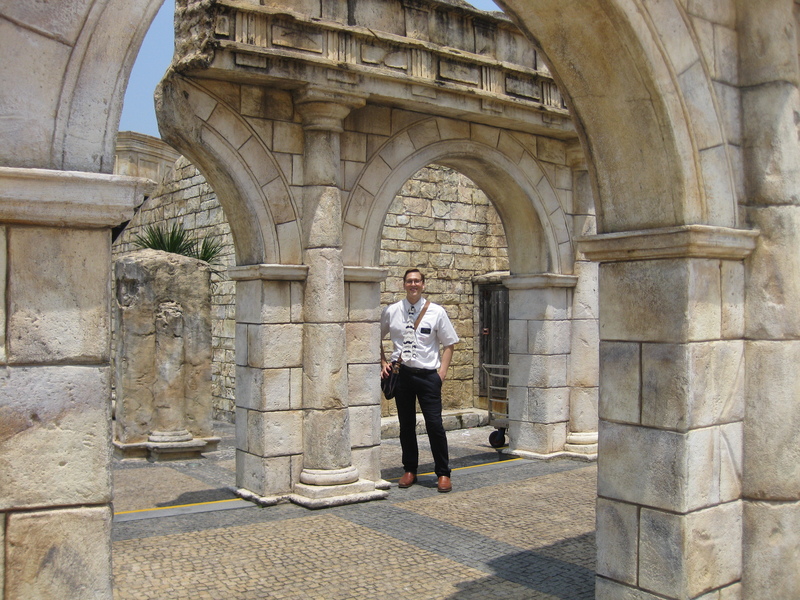 Also us missionaries learn to appreciate more and more the members of Hong Kong! Some other eventful things is on Friday we ran into the Branch President as he was cleaning the chapel! And after talking for a short time we were able to plan a BBQ for the next day. It was a bit of a rush, and when the BBQ started there was only one person there other than us but shortly later we had a lot of people show up. It was all the younger men of the branch and the Branch president. We had a Less Active a recent convert and 3 investigators there and they all loved it. It was a wonderful success and it was a wonderful time to get some relationships start building. I really feel that the branches or wards that embrace lots of activities really have better unity! I love working with the branch and we are seeing a lot of members open up to us more! The Home teaching plan and action is working so well! The whole zone is doing amazing! We had set a goal for 80 lessons at homes but we already have 93 and still another week to go! When we started this plan Elder Dale prophesied to the whole zone that we would see miracles in teaching families and that has totally come true! We really reached hi when we set our family lesson goal and we are on track to be making it. we are seeing that almost every unit is working at least one family now. I know that getting more families in the church is really whats going to boost the work in Hong Kong, because peoples spiritual potential is so limited without families! Really the mission life is the best life I am loving and just want to enjoy every minute that I have left! My new companion is so powerful and so awesome! Elder Dale from Yorkshire England! So we are getting the Old York (He is from “Old” York) and the New York (I am from New York). Well I cannot be more excited about the new opportunities I was sad to leave TST and now I am excited to serve Tung Chung. Again I am extremely blessed to move into an area that is prospering from the efforts of these amazing Elders I hope to only Establish and take it beyond that. Elder Dale and I had some immediate excitement with shortly after being together we met with two investigators and we decided to set and short date with a lady and her daughter. they have been coming to church and still have a good amount to learn but the spirit was strong and they both accepted with a lot of excitement. We are trying to apply the wisdom Elder Holbrook taught: that big commitment and follow through get people to really change. 8 if a member lives near by it would take less of their time. These are some of the ideas we thought of. The other thing we are planning on doing is Daily Contact from ward members. We have drawn up a calender and are going to get the ward members to sign up to have a member whats app our investigators everyday and then call a few times a week. We realize its extremely important to keep that contact so we can have people effectively reach quicker baptismal dates. I think its awesome that almost all the elders appartments in the zone only have one set of elders. I feel like it will be one of our most effective moves yet. I myself am very excited to be able to remove more distractions that might be keeping me from working and staying focus. Elder Dale is so focused and I can honestly say that I have not met a missionary yet who loves all of their investigators and ward members as much as he does. I think his ability to love them is a big part of why he is so successful! We have a busy week ahead and it looks like we wont have very much if any time to find but we are trying our best to be talking to people at all times and in all places! What a great week to end off the Transfer! We made the goal to MAKE SURE we talked to everyone! It was rocky at the first of the week with lots of service to do and needing to deal with the car, but by the end of the week it brought miracles. Talking to everyone is not always easy, there are some many things that get in the way, but I think that is why is brings so many miracles. It increases our faith and power in the work. The miracles don’t always come from right then, but it does allow the Lord to increase our spiritual power to be able to speak with the power of the Lord. We spent a lot of time in Butte Ward this week we really want to help that ward blossom into what we know it can be. With that added effort we got 3 new investigators in that ward, and we put Nick OnDate for Baptism. Using the Book of Mormon Invite! The Church has been restored and The Spirit witnesses to that one people have a open heart and mind and wanting to listen. The Spirit will always testify of truth but God wants you to Want To listen, without that real intent you will probably miss it. Well Nick didn’t miss it. He felt the Spirit and knew that it was different then anything he had ever experienced before. He has been to many churches and has had a relationship with God, but knew for himself that this was different, that it was more. AWWWWW IT WAS SO AWESOME. The spirit was so strong and was teaching him the whole time. He is on date for May 30th and we will be taking him on a church tour tonight with his sister Sandra, and their kids. Our plan is to also get her to make to goal for that date as well. Sacrifice Brings Blessings. It has been a wonderful Start to the next chapter of the mission story. 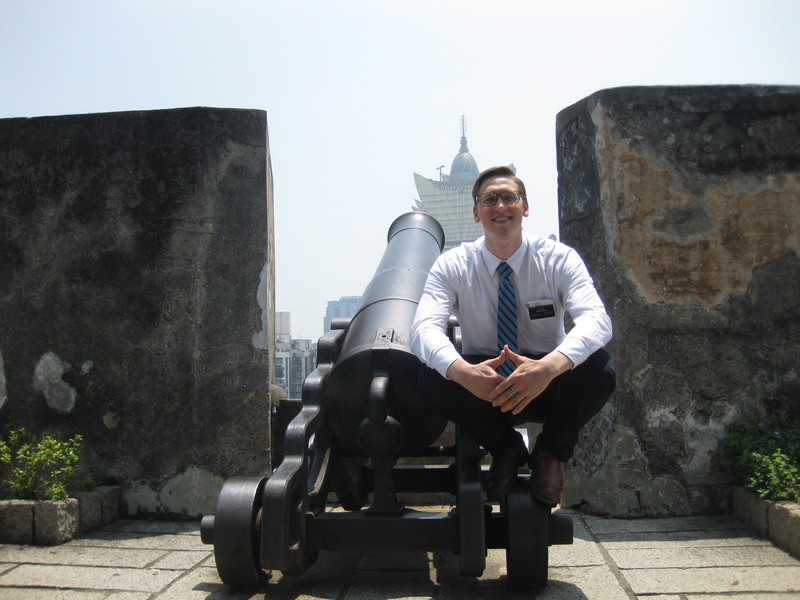 It was amazing to have the opportunity to serve in Macau! Also now for the opportunity to serve in TST(which is the ward my trainee is from and my good man Elder Townsend served). It seems like God always sends me to the areas that I really want to go to! Although I did not necessary want to be Zone leader its here and I will do my best to be a leader and an example to the Zone. I know the best way to lead is by my actions. My companion is one of the best if not the best the mission has! His name is Elder Williams and we started in the MTC living together so its a blessing to be with him now! Macau had a great finish for the week we were able to meet up with a part member family and that was really cool they will be coming back to church and we were able to get the wife to agree to start meeting with the missionaries, we were also able to see Carson that new investigator again and be able to help a struggling Recent convert. A Wang one of the RCs has been struggling as we came to find out when we sat down with him. He was having some faith issues and it was awesome that he was willing to open up to us and the most important thing we got from him was that he want to improve his faith! So then we were able to help and gave his some assignments. His faith was struggling because he stopped reading praying and coming to church. The best part is we were able to help him just as the problem got started. So then Elder Chu can keep working with him. We were very busy with the finish and I was able to completely finish all the record books as well. Now TST we had a ward BBQ is was a great chance to get to know the members right from the start and to meet a few a referrals from members so that was really cool! I really like the ward and the members and am glad I have already had the opportunity to get to know them I feel like I have been here for quite some time now, in a good way. Since Elder Williams and Elder Martinez met with all their investigators right before I got here we didn’t have any for the weekend but we had some chance to prep some stuff for MLC and get a lot of finding in. 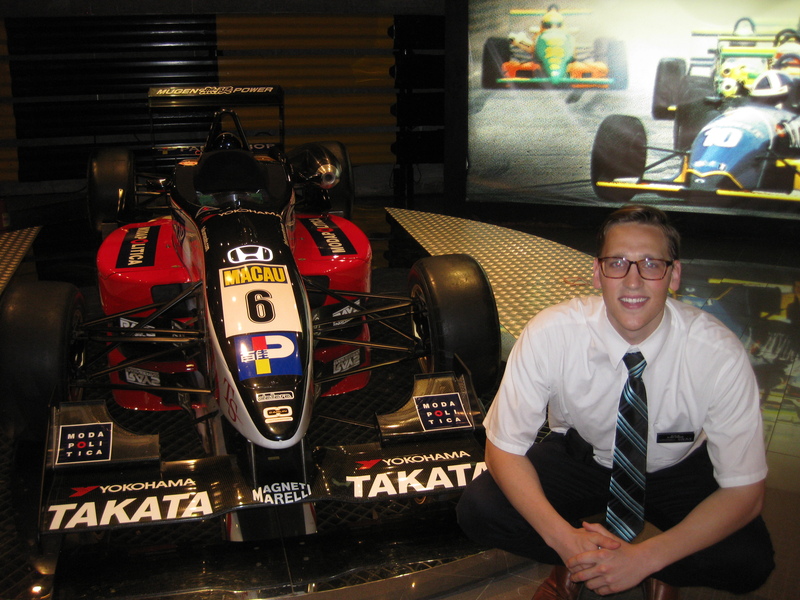 Elder Williams is an excellent finder and truly has embodied what Elder Ballard invited us to do. He talks to everyone and its just contagious so I have started to as well. I did before but, not like now. We have had a lot of really cool contacts and take advantage of every finding opportunity. Its interesting because its the culture here and as I moved in because thats just the way it is here thats what I natural started doing. I feel like if Elder Williams was with a new missionary he couldn’t help but just becoming like him as I just experienced. One thing that we are working on is really getting up to speed as fast as possible with our teaching unity. Time is precious and we don’t want to waste any minute of it! The zone is awesome and from it looks is every month they are getting better and better and we are going to do what we can to reach out the one and lift those who might be struggling we feel the zone will be the strongest once everyone can really start seeing the miracles! Here is some pictures for you all since I have been lacking. Don’t judge me cause i look bad, missionaries for some reason always look less attractive then when they get home I promise.